Tuesday: I’m a terrible shopper, a classic browser who can spend hours in shops looking, touching and picking things up, even restacking and neatening displays, but I’m not actually any good at buying most of the time. Often when I go clothes shoppping I return home with multi-packs of socks. At least now they’re stripey or spotty colourful socks; not the terminal black packs I always, always bought during my non-craft decade. 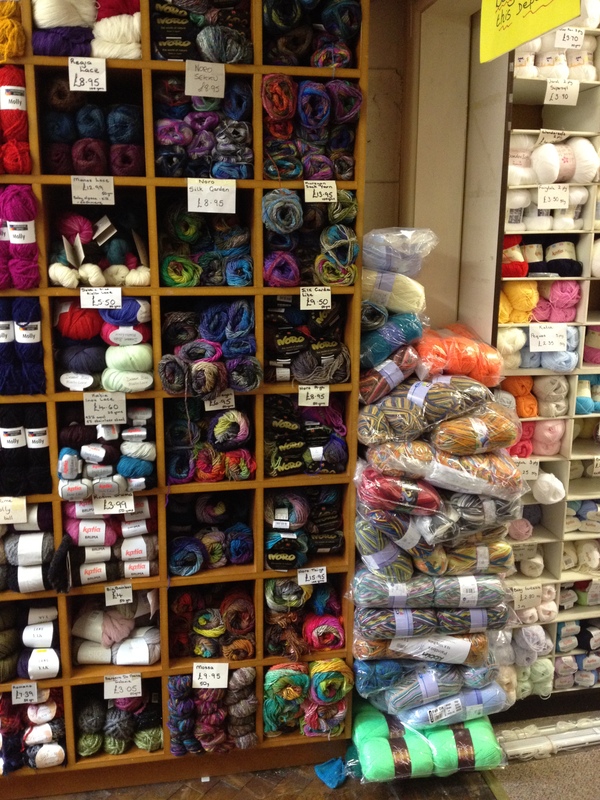 This afternoon I deliberately left my yarn shopping at Mason’s till the last ten minutes before the shop closed so I would be forced to make a decision under serious time pressure. Well technically it was that, and leaving home late due to the fact that I wanted to finish last month’s Mollie Makes in the bath before moving on to the new issue. The first of my year’s birthday subscription plopped onto the doormat this morning. Ya-hoo! I know I’m very easily pleased: Mollie Makes, a hook and some socks and I’m happy. 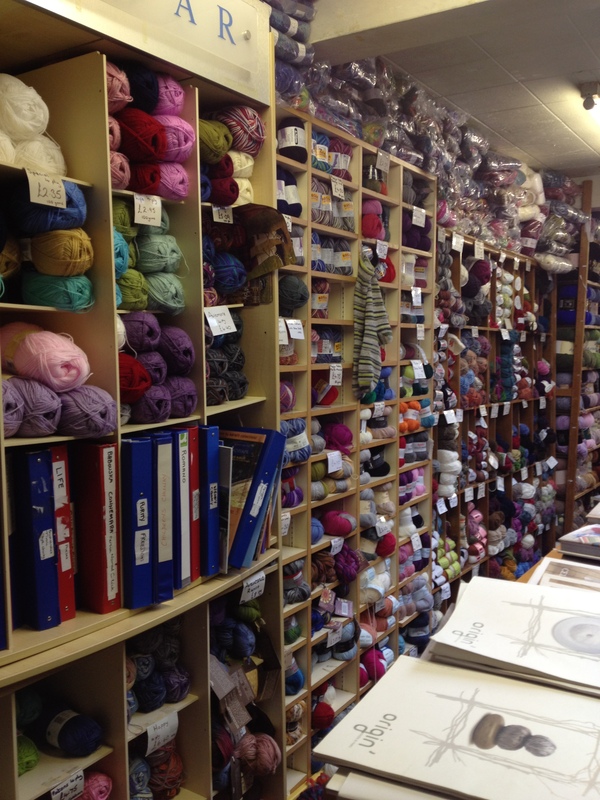 There is a LOT more wool/yarn than this, plus fabrics and haberdashery (and two more shops in the town) but I still take very surreptitious photos in shops. It is a tad embarrassing but I thought some of you might want to see what the shop looks like since I know they send international orders. So what I’m leading up to is that I’ve bought yarn. Better than that I’ve bought wool, proper grown up sophisticated posh wool, Debbie Bliss baby cashmerino. 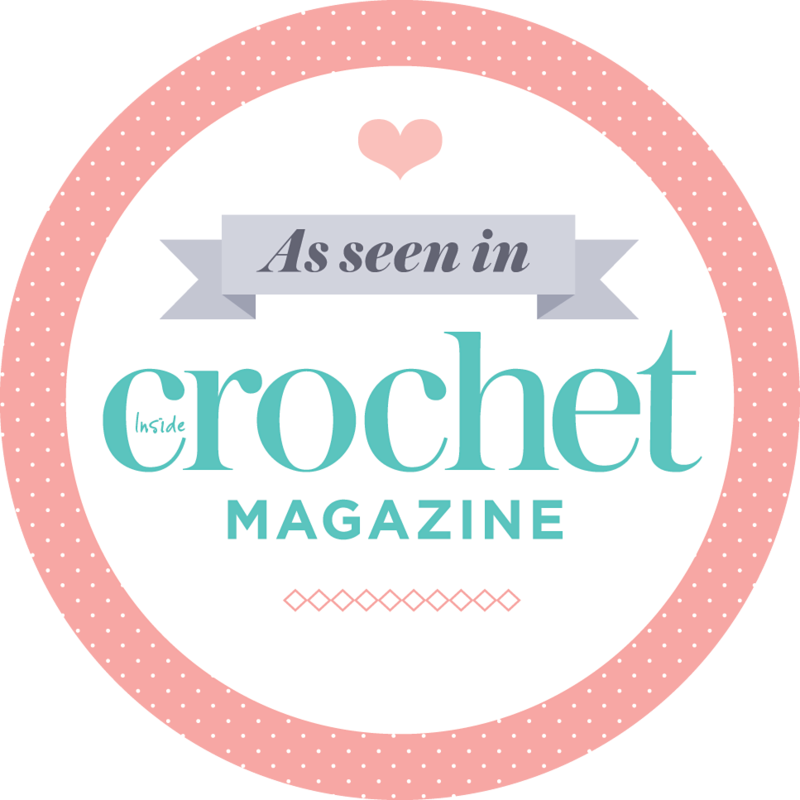 If it’s good enough for the Queen of Crochet Blogs (you know….) then it’s more than good enough for me. I’ve really only ever crocheted with 100% acrylic. I am a fan of the Stylecraft Special DK but seriously wanted to try something different. It is pricey but it’s gorgeous. I adore the range of colours. I want to put it on my face and leave it there it’s so soft. I also think it’s going to produce a nice sized block for my CAL though unlike serious, sensible crocheters I haven’t been swatching. My approach is to crochet and accept whatever block appears. I’m definitely not working out yarn quantities ahead either, yikes that could end up being scary given I’ve spent lots of pennies. “Look after the pennies and the pounds look after themselves” I’m choosing to think about the pennies and not the pounds in this case. 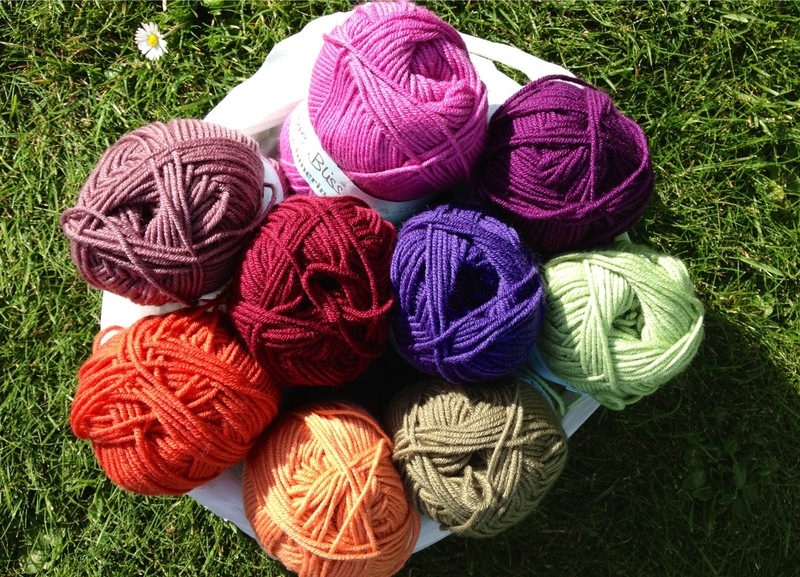 I’ve chosen a starter range of colours for my initial blocks that are inspired by my memories of our cottage garden style flower beds which were in my childhood garden here in England. I remember red-hot pokers, lupins and delphiniams, plus marigolds, little flowers called pinks, moon-daisies and iris and…. I might add some light pink and maybe a splash of yellow, but I know that I want oranges, purples, some deep dark and bright colours. So that’s everything I suppose, but no neutrals. I’ve started putting a Cottage Garden board together on Pinterest if you need any pretty pictures to look at for inspiration. It’s a work in progress as I’m still finding my way round the site. Thursday: I could say I’ve done a swatch, deciding to make a sample and be a sensible crocheter, or I could say I couldn’t wait and I crocheted the first two blocks. (More about that later.) 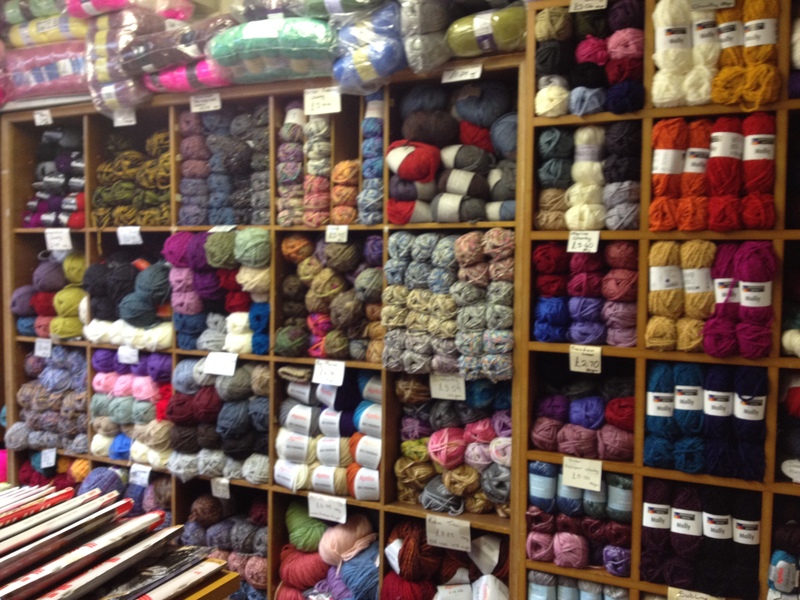 Either way I’ve made a decision about the yarn I’m going to use…. 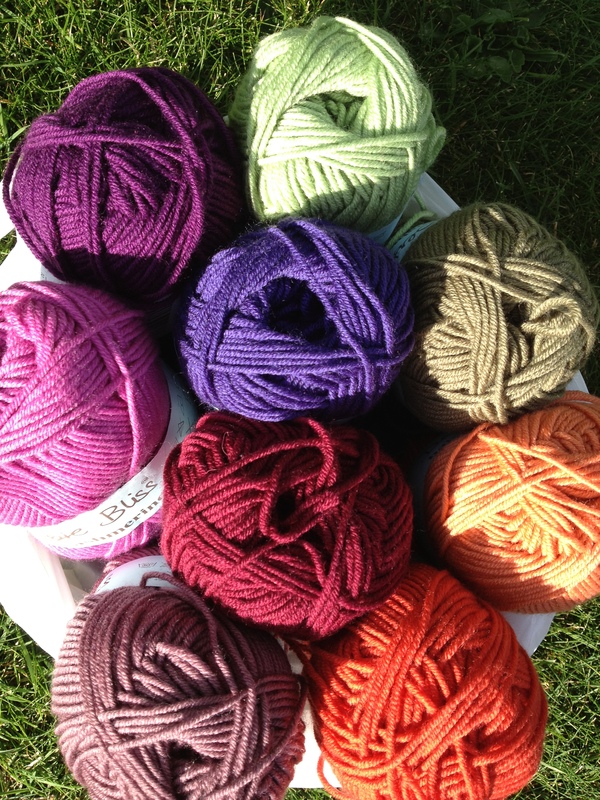 …Any ideas for what I can make with softer than clouds DB baby cashmerino?